Mile High Mayhem Scooter Rally is an annual gathering of predominately vintage Italian, Spanish and Indian motor scooters. Many are locals, but more and more have been coming from out of state. Each year Mayhem is celebrated over four days of riding and parties. This is the 15th anniversary, and many of the events will be focus around Colfax Ave (aka 15th), at such venues as the historical Bluebird Theater and Casa Bonita. There will be rides, contests, awards, and raffle prizes. Mile High Mayhem 15 is July 26th-29th, 2012. Thursday night at Nallen's of course. 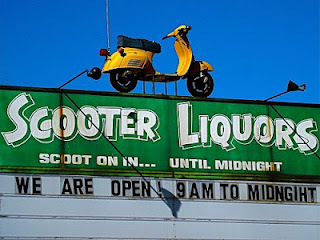 We want to organize a ride up Colfax from GB's Fish and Chips, then as we progress along Colfax, pick up packs of scooter kids at bars and restaurants along the way down to Nallen's (ie Streets of London, Irish Snug, Lion's Lair, Atomic Cowboy). Let us know if your club wants to host at a venue. 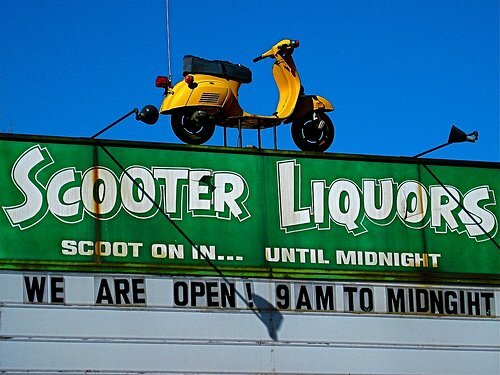 Friday night is Denver Vintage Reggae Society and the Sonic Archers at Tooey's Off Colfax, a real scooter kid party. We will be led on a ride down Colfax by the Scarab SC from world famous Casa Bonita. Saturday Ride; details to come. Saturday night we have Human Rights, with HR from Bad Brains, and guys from Suicidal Tendencies, Meat Men and Pietasters (maybe a Fishbone member to if they can swing it) playing at the Bluebird Theater. Opening up for them is Ramones Attack! a Ramones cover band (OMG!). $10 tix from the MHM ticketing committee (AKA Matt MegaC & Paul Sjodin), other wise $15 in adv, $18 @ show. We will have $10 tickets for sale online beginning Friday June 8th. Bottle Rocket SC ride, Gymkhana, and raffle and awards at Jake's. details to come.